Why should people understand winter medicine and its impact? 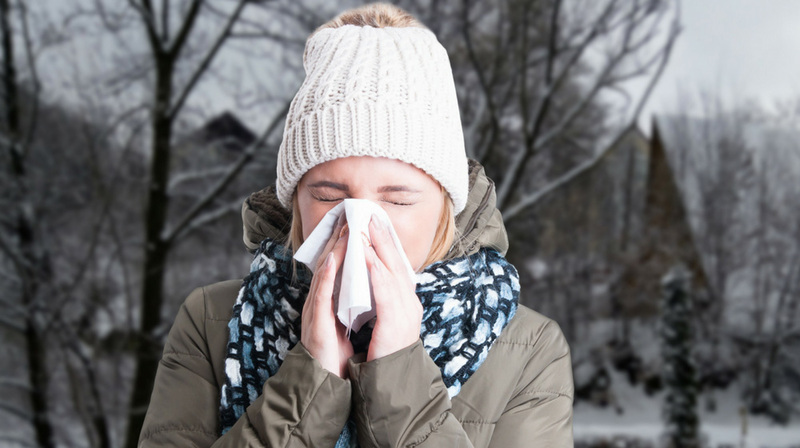 Winter weather is reality and so is the need to understand winter medicine concerns. People should embrace winter, prepare for it and take it seriously. When embracing it, learn how to adapt to winter, and you'll be better set for success. "Winter medical is all about being prepared. If you're ready for a situation and you both mentally and physically prepare for it, it's really not as bad as what you're perceiving it to be." ~Travis Hall, U.S. Army Green Beret. How Does Cold Effect Your Metabolism? Shivering increases metabolism and causes high-calorie burns. This creates a drop in weight. Being cold increases your daily energy (food) needs. The body needs to maintain 98.6 degrees Fahrenheit to stay warm.What Are Some Considerations People Should Account for in Winter? Keep a cold weather kit in your car. Plan for the possibility of cold even if it doesn't seem like it may get cold. Being prepared with proper clothing is very important. Keeping your head and feet warm can do wonders for your morale. How Can You Stay Clean in the Winter, When It's so Cold Out? It's important to focus on personal hygiene in the winter because the cold decreases the motivation to do activities that keep you healthy. Make sure you clean your hands and body, wash your clothes, and get fresh air. Keeping up with washing because of your layers of clothing make washing something that is not easy. Built up layers of clothing hold bacteria unless you wash yourself and your clothes. Try to avoid wearing more layers than necessary. Physical activity will warm you up and can make you sweat. Dress up or down appropriately. Changing your socks is essential. Fresh socks help keep your feet clean, dry and trench foot free. Take the time and plan on changing your socks when possible. When changing your socks, when appropriate, let your foot air dry before putting the new sock on. This will help kill any bacteria and will work towards keeping your feet healthy. Don't forget to wash your socks. Clean socks are good socks. Clean socks can help you feel better and more motivated when you're in a strenuous and challenging situation. Getting, good, warm sleep when it is cold is vital to help your body heal. Healing is especially essential when you're cold. What Type of Precautions Should You Make When Working Outside During the Winter? Plan your activities in advance and understand your bodies needs. Once your needs are understood, take appropriate actions. While you may be cold initially, as your activity increases you will warm up. So dress appropriately. Stop throughout the day and adjust your clothing and equipment as needed to your situation. You lose just as much moisture from your body in the winter as you do in the summer. It's easy in winter to neglect your water intake. Drink water! How Can You Keep Warm at Night Without a Fire? If possible, learn how to have a low light fire. Candles will heat up a small space. Body heat from another person and "snuggling" under combined blankets really helps. Insulate yourself and your shelter with leaves, or others material works well. Keep yourself off the ground to avoid heat loss through convection into the ground. If you're in a long-term situation, find, or make a permanent shelter. The goal is to not only survive but to thrive. Hypothermia is the deregulation of the heat of your body. Uncontrollable shivering is the start of hypothermia. The key to hypothermia is early recognition and re-warming? How Do You Identify and Deal with Frostbite? Frostbite typically affects your exposed areas. 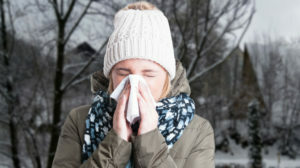 Often times the number one area impacted by frostbite is your nose. Your fingertips, ears, nose and private parts are also very susceptible to frostbite. You can identify frostbite by looking for discoloration and numbness. If you are numb, or in pain, work on warming up the area. Once you pass the point of pain, you could be in serious trouble. The winter medicine key is to re-warm the area. Re-warming is painful and will not feel good, but is necessary. Combat frostbite by wearing gloves, changing your socks and maintaining your warmth. Prevention is the best way to deal with frostbite. If you have any other thoughts or questions about winter medicine, please leave a comment below.